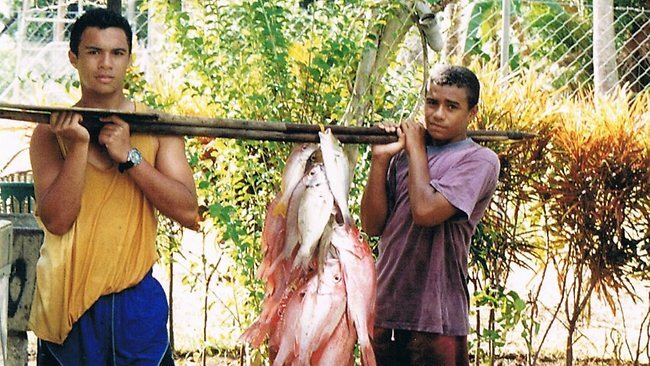 Will (right) returning home with a catch in Port Moresby. Pic: Courier Mail. Australia is known world-wide for its achievements in both rugby league and rugby union. Today, for Australian stories, I would like to share a story about a rugby union legend. This story is also about a fisherman who became a Wallaby. If you don’t know what a wallaby is, it is an Australian marsupial from the same family as a Kangaroo. If you play for the Australian national rugby team, you are also called a wallaby. This story began in Papua New Guinea and ended in Australia, and it has now connected the two countries proudly. When he was growing up, Sanchez, William Genia (Will) was not driven to play sports nor did he like one particular sport. Like a typical coastal PNG child, Will spent weekends and free time fishing, to catch food. He and his brother and cousins would go to their village down the coast to fish. On Saturdays, Will had told Courier Mail, the family gathered and worshipped in the village church.The children played a little cricket after church in the backyard. Will idolised Australian cricketer, Steve Waugh. Will’s mother was the assistant governor at the Bank of PNG and his father was a cabinet minister 2011. At the age of 12, Will’s family decided to send him and his brother down to Brisbane, Australia for schooling and this was when he was introduced to rugby. Will told Courier Mail, he realised for the first time, this was going to be a completely new life and away from his large family, back in Port Moresby. His brother had already spent two years in Canberra so he was happy to be in Brisbane. That first day, Will went to his brother’s room and cried in bed. His brother was not impressed. In Brisbane Boys College, his new sport consumed his new life and soon he went from playing school rugby to being recruited into club rugby by the Queensland Reds in 2006. He played his first Super 14 at 19-years-old. He played in scrum-half position. 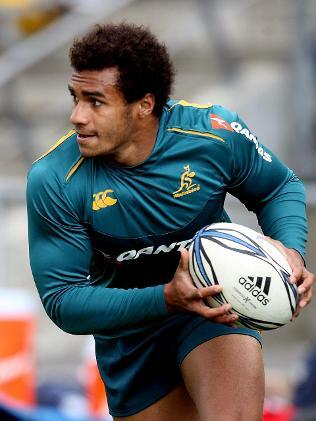 In 2009 Will was selected to play for Australia and became the second PNG-born Wallaby, at the age of 21. (The first was Graeme Bond). And, on this day, funny enough, he could not ring to tell his parents because his mother Elizabeth was overseas, and his father Kilroy Genia was down the coast fishing. Will has had many outstanding professional rugby achievements, amongst playing for Junior World Cup, being selected into Wallabies in 2009, Captaining the Reds, winning the player of the year several times, winning People’s Choice, winning the Pilecki Medal twice and was voted the Australian Super Rugby Player of the Year by Australian rugby writers. The All-Blacks half-back Justine Marshall in 2013 described Will as being the best player in the world for his position. Others players, both retired and current players have said Will is currently the best half back rugby union player in the world. Finally, Will was nominated the Ambassador for the Kokoda Track Foundation. The Kokoda Trail is a famous historical site which united Australia and PNG through the history of war. This will be another post. *Here is a piece of an interview from the Melbourne Herald Sun which I found amusing. I do know Will and his family personally and I am very proud of him. Will is a son of both Australia and PNG. 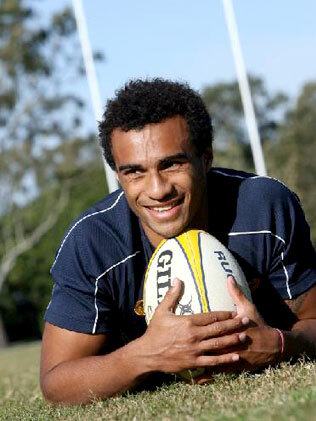 SANCHEZ Genia, best known by his middle name Will, has become one of Queensland sport’s most enchanting success stories. The Papua-New Guinea-raised son of a senior government minister has surged through the rugby ranks to be Wallaby halfback. Q: Sanchez Genia. Great name, but you have kept it pretty quiet. A: The boys here are the only ones who call me Sanchez because they are probably the only ones who know about it. When I made my first trip to South Africa they got my passport and said “who’s Sanchez?” It all started from there. Q: Who were you named after? A: My dad’s older brother, who was heavily involved in raising us as kids, had a favourite boxer who was Mexican and his name was (Salvador) Sanchez. My dad did not want to call me Sanchez but he had a lot of respect for his older brother so he said “you can name him”. I never really liked Sanchez because as a kid I was teased and they called me Sandshoes. They’d say “you don’t look like a Sanchez” and I’d say “OK, call me Will”. Q: Sanchez Genia has a real ring to it and great marketing potential, don’t you agree? A: It is definitely something you would not forget: a little dark kid from Papua New Guinea named Sanchez. The boys reckon I should use it because it is cool, but I am not going back to it.